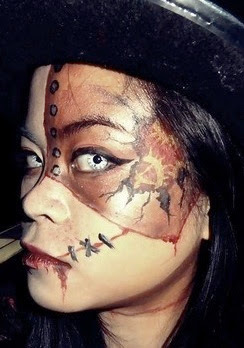 So you've put together a steampunk costume and you think you've covered all the details-- your nerf gun is painted, your belt has a holster for every accessory, your pocket watch hangs just right, you've even glued gears to your face, but wait-- something's missing. 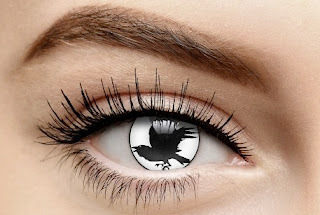 Have you steampunk'd your eyeballs? Oh, sure. Scoff. But as you stand there dressed head to toe in the Victorian clothing you painstakingly handsewed, just know that your stupid eyes are ruining the whole outfit. There, I said it. 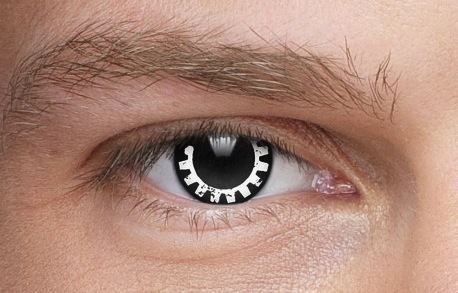 For cosplayers a bit more detail oriented, there are Steampunk contact lenses! 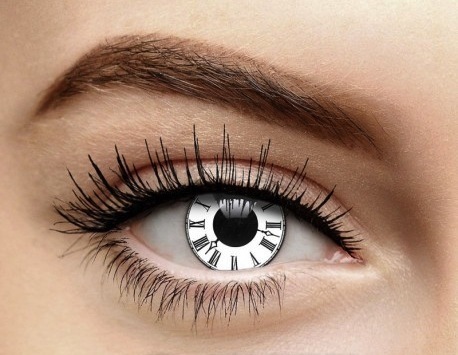 These White Tick Tock contacts (also sold here) look like a roman numeral clock. 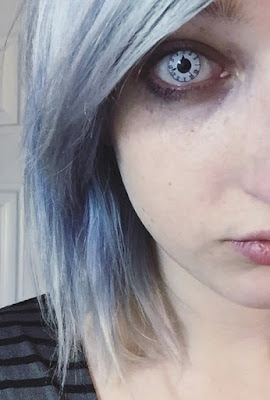 If the eyes are the window to the soul, this soul says, "It's approximately 3:37." 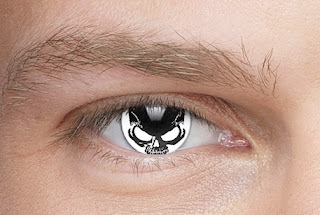 These Black & White Steelyard contacts are designed to look like cogwheels, for a look that says, "I glue gears on everything." All jokes aside, they look pretty awesome in person.